Are you the owner of Corralejo Skatepark? 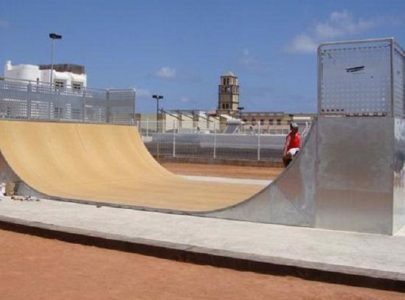 Corralejo Skatepark is a nice skatepark located in Corralejo, Las Palmas, Spain. The park has a rectabgular concrete surface with various elements. The park ramps was position inline and partly fixed installations and also own built elements. Also larger mini ramp available.